0	0	River Rapids	In Stock - Order before 2pm for same day dispatchWant it on Wednesday 24 April? Maya thinks it would be quite fun for the River Mallen to flood its banks, but when that happens, it's disasterous for her and her mum. If being forced out of her home wasn't enough, getting caught up in a human trafficking ring threatens everything. Maya is kidnapped and, though she is released, she lives in fear that the kidnappers will come back to get her. Using the Bible passages encountered in the book (Joseph and Matthew 25), the reader encounters what living as a Christian means when dealing with others. Joseph speaks of trusting God in difficult situations when things aren't gonig for you and the Matthew passage helps the reader think through how they act with those in need. 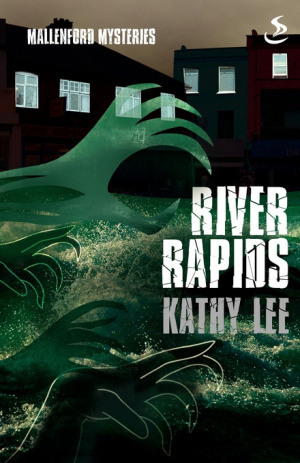 River Rapids by Kathy Lee was published by Scripture Union in February 2011 and is our 6859th best seller. The ISBN for River Rapids is 9781844275083. Intended for young people or not, I enjoyed it! Adopted teenager Maya looks a bit Chinese, so when she and her mother pull a Chinese girl from the river raging in a torrent past their flooded home, unbeknown to them it is the start of a chain of events that becomes a little too exciting for comfort. Fast moving and absorbing this is a story of people trafficking, bullying, unexpected friendships and the problems of being flooded out of a home and livelihood. Sadly these are problems that can be only too real in our time, but rest assured - there is a happy ending. Got a question? No problem! Just click here to ask us about River Rapids.